Haven’t seen me in a while? I used to do 3-4 shows a month when I was really active with my jewelry. The economy forced me to make some major life changes, and I’m not able to travel full time and support myself with just jewelry, but I am still creating new jewelry and am actively selling it online. I’m increasing my web exposure so it’s easier to find me, and taking a more active roll in updating my jewelry presence on the web. I designed some brand new pieces at the end of last year. Shown above is the “Striated Byzantine”. 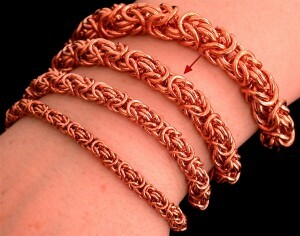 Which is a new wide bracelet made from a variation of the popular byzantine pattern. 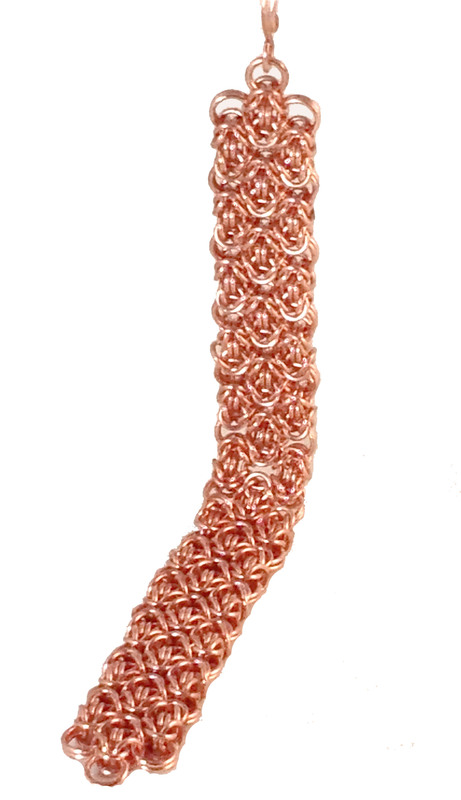 The byzantine is interwoven with large rings to create a sheet which has a beautiful interwoven alternation. The sheet can be extended to any width if you’d like to make a custom order, or available as pictured now. More new jewelry designs are in the works! I have completely redesigned my website. The new look and layout is just one part of a new online presence that will be easier for me to maintain and update. It should also be simpler and easier to place orders and see what’s new. The website is now updated to only show only in stock jewelry, so orders will ship within 2-3 days, on average. With the move to amazon and the new website ready, I’m bringing back a lot of old favorites, and adding some jewelry to the web which hasn’t been online before. Currently Amazon is only allowing me to sell my fashion jewelry line, so I’m creating a lot of copper and brass jewelry to feature on Amazon. This includes bringing a lot of my earrings online which have never been photographed. Naturally that’s a big job and is going to take some time. But as soon as I’m happy with the pictures then they’ll be coming online everywhere. To the left is a sneak peak at one of the Copper Twin Triangle earrings, beaded with clear quartz tear drops. A stunning earring. 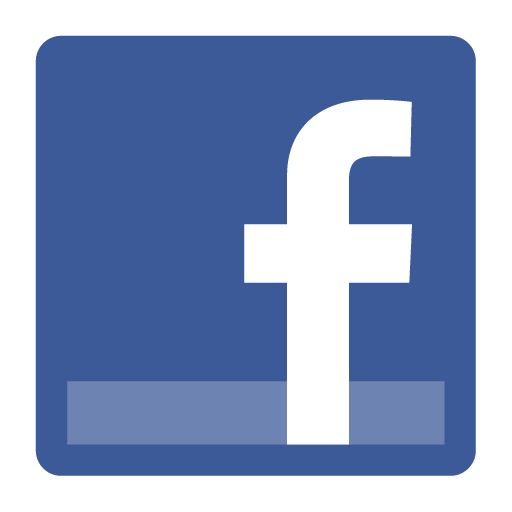 If you love the sterling silver, then my website and facebook will be the places to find it. I have some great Sterling Silver and Amethyst pieces on hand, like the Sterling and Amethyst Twin Triangle bracelet pictured to the right. I also have several Copper and Sterling and Brass and Sterling combination pieces available. More images of these great pieces will be coming shortly, as well as other designs once I’m able to get them photographed. If you’d like to help me out, please post reviews on either the website or Amazon, and share the facebook. I’d love your help to gain a bunch of new jewelry fans! Those of you that know me well, know that I spent 5 years on the road supporting myself exclusively by making jewelry. 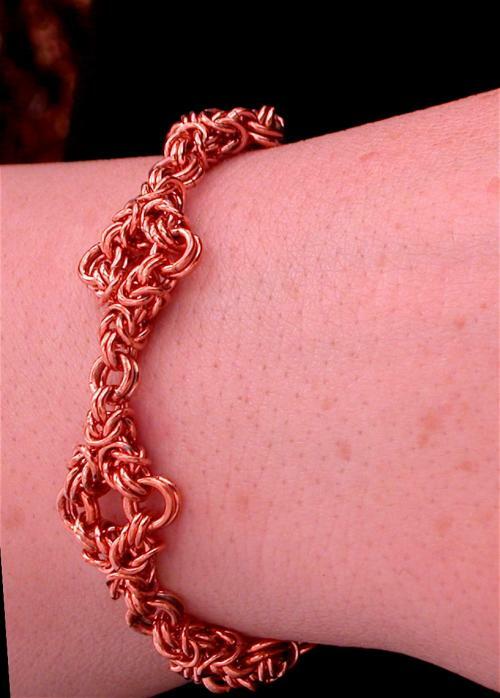 Now that I have root and a solid place to work from I’ve been doing a wide variety of new things, which has recently included selling my jewelry on Amazon, especially my copper bracelets. I’m also working on learning new chainmail weaves, and creating new designs. So I’ve been expanding my inventory and decided it was finally time to redesign the website and get that launched. 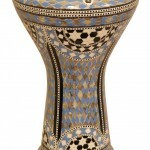 You can find that here: www.ArtThouGlorious.com. I’m going to be staying on top of the website inventory and only including stock that I have on hand on the site and Amazon. 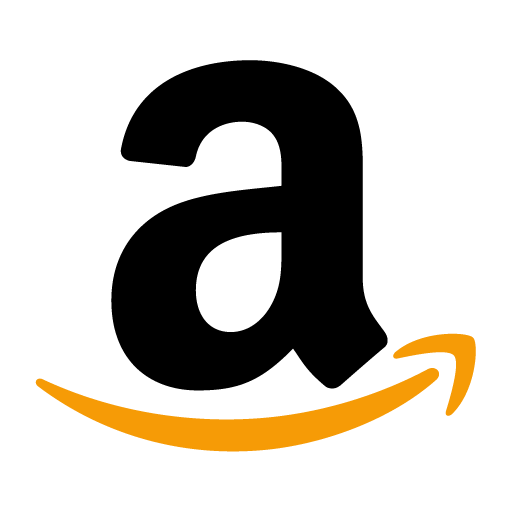 You can find the Amazon store here: Art Thou Glorious on Amazon, and you can also find me on Facebook as well. As I get new jewelry finished it will be added to one or all of these locations. 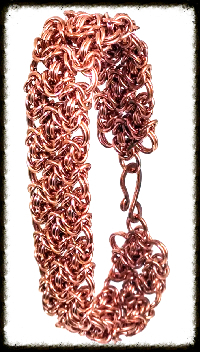 Currently Amazon has only approved my fashion jewelry line, so you will only find my Copper Bracelets and Brass jewelry on there. 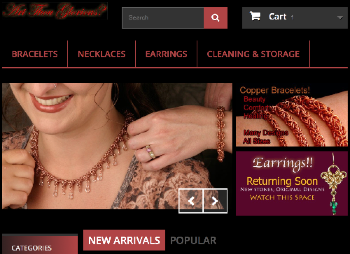 For the Sterling Silver jewelry you’ll need to head to the website. In 2014 I decided it was time to start something new, and since I have been pouring myself into music almost completely I decided I should start something that we can grow into an opportunity to support ourselves with our music. 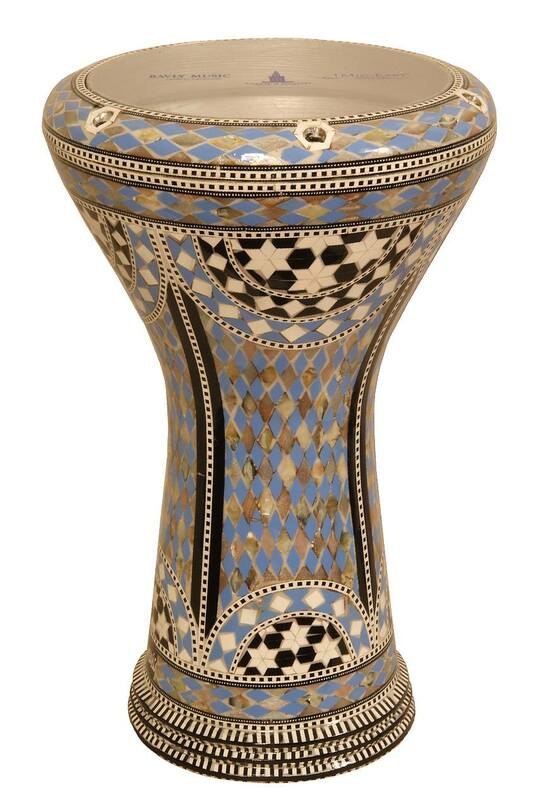 So I decided to start a drum store. Currently we’re mostly selling doumbeks and tars, but also some djembes and riqs. 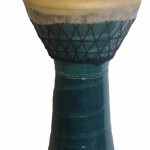 We also have a decent selection of drum heads and zils. 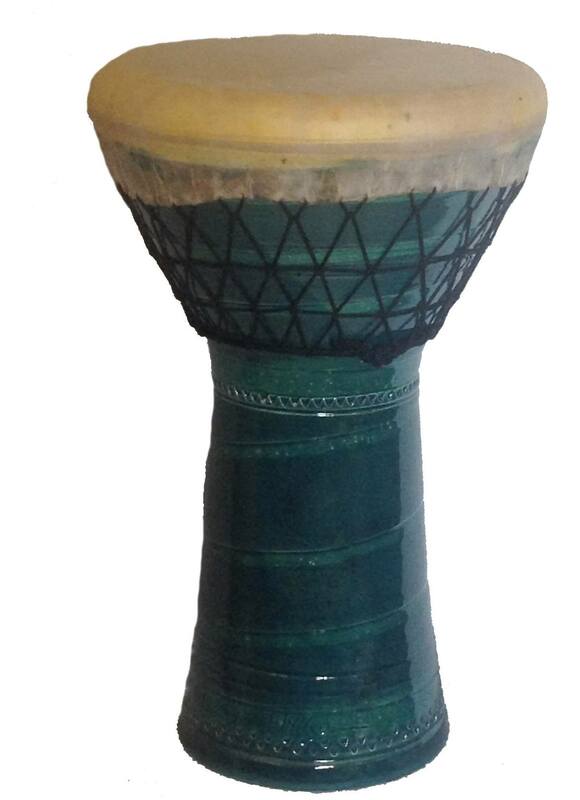 Eventually we’ll expand the product line to include stringed instruments and more drums, like Tupans, Tabla, and Zarb, and perhaps some wind instruments if we can. We also have some learning materials, Raquy Danziger’s books, and Billy Woods rhythm CD. 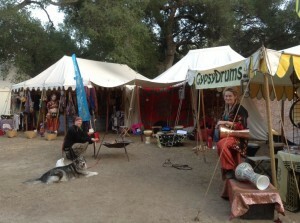 And Sarah is teaching drumming classes, both at events and at our home. Eventually we’ll be producing our own rhythm CDs and music and it’s likely we’ll both eventually teach classes and private lessons once we get enough students.